The restaurant was fantastic along with the arcade. Actually we loved everything. Great location! 5 minute walking distance to all attractions! 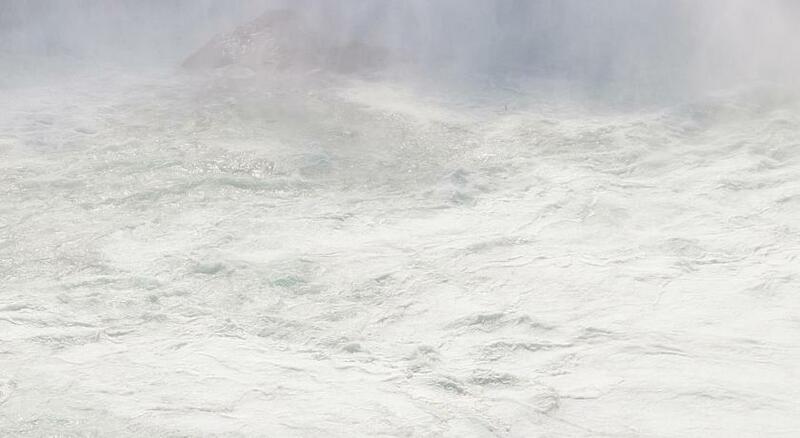 Very close to the American Falls. Just a short walk away. The room was nice and the bed extremely comfortable. Very courteous staff. And the Anchor Bar was excellent! Probably the best chicken wings I ever had. Very close to the falls. I love that you no need to walk to much. Very kid friendly..kids loved it.very close to the falls. And close to shopping. Our last nite the parking lot was full and the only spot was in an area that said no parking, we asked and the girl at the desk who told us it was ok that it is blocked for employees but it’s also overflow for guest parking. The plus side, beds were comfy and it was a quieter hotel (we stayed at others that people were very loud). The room was dated but clean. Our view was a roof top but we could see the Canadian attractions especially lit up at night. There was nothing we didn’t like. The room was clean and comfortable. The greeter was excellent, helpful and friendly. Breakfast was excellent. Everything! The staff, especially Mike at the front desk, was helpful and friendly. Room was clean, beds comfortable and location was perfect to the Falls. The view was beautiful from our room and very nice to have a restaurant connected to the lobby. Definitely would recommend staying here if you are going to see the Falls. Holiday Inn Niagara Falls-Scenic Downtown This rating is a reflection of how the property compares to the industry standard when it comes to price, facilities and services available. It's based on a self-evaluation by the property. Use this rating to help choose your stay! All guest rooms include a refrigerator, coffee maker and flat-screen cable TV. 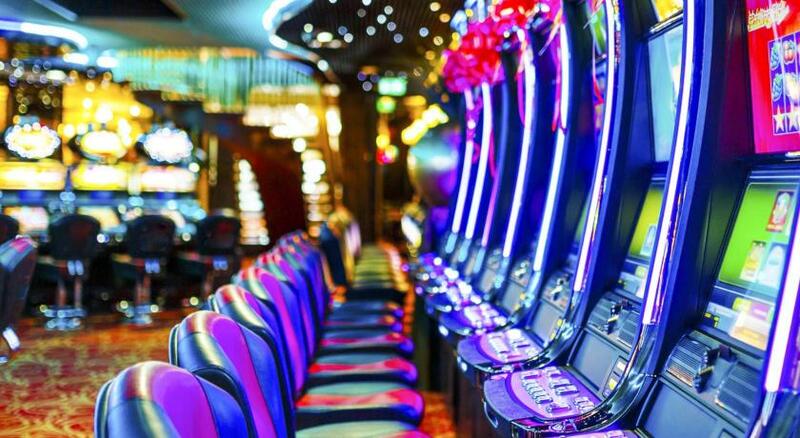 Guests have access to the fitness center, business center and The Great American Arcade. Anchor Bar Original Buffalo Chicken Wing Restaurant serves American dishes throughout the day and offers beer, wine and cocktails in the evening. Room service is available. The Maid of the Mist Boat Tours and the Aquarium of Niagara are both less than 0.9 mi from the Holiday Inn Niagara Falls. Niagara Falls International Airport is 8.5 mi away. 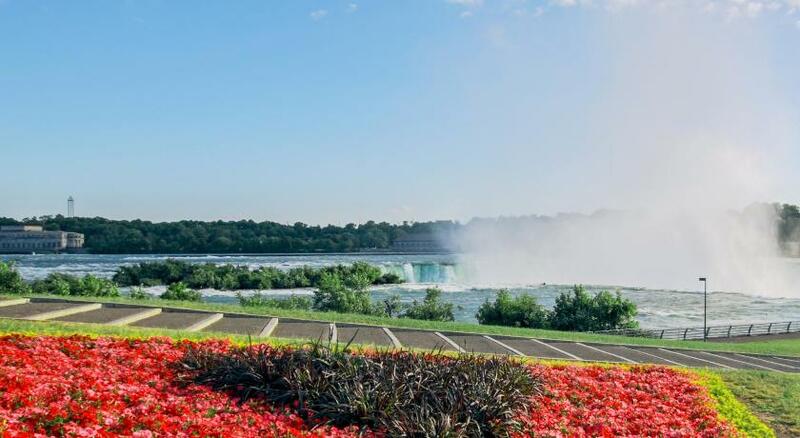 When would you like to stay at Holiday Inn Niagara Falls-Scenic Downtown? This room with 1 king bed features a flat-screen TV, a coffee maker and refrigerator. This suite features a microwave, refrigerator and separate living room with a sofa bed. House Rules Holiday Inn Niagara Falls-Scenic Downtown takes special requests – add in the next step! Holiday Inn Niagara Falls-Scenic Downtown accepts these cards and reserves the right to temporarily hold an amount prior to arrival. Please note that breakfast-included rates offer a complimentary breakfast for 2 guests regardless of maximum occupancy. The room was advertised and booked at $104 at home. However, by the time you're finished paying all the fees on top of that at check-in, the total cost was $141. A little misleading when I booked it prior to arriving. Although a lot of hotels do it I don't agree with paying extra for parking privileges. If you're a paying guest of that hotel you should not have to pay extra to park your vehicle on the parking lot within their property. Bathroom cleanness need to improve. Found hair on bathroom floor. Window and head board has hand prints. The house keeping staff. I should not have to ask for fresh towels, make the bed or vacuum daily. Parking fee..if you are a guest you should not have to pay for parking. It is near niagara falls. Clean and comfortable rooms. Price was not what it said when I booked the room on this sight.. Kids liked the pool and arcade..
Breakfast at anchor bar was not appropriately tended to by staff. Cold and no service. At check in the staff wasn’t friendly, it was like a robot. I saw the parking fees listed on Booking.com and they were almost doubled per day. I questioned it and was basically told this is the fee and we are charging it. Later on I asked if there was breakfast with muffins & coffee and she told me NO, did you get a voucher? If not go to the Anchor down there to buy your own breakfast. The pool was very hard to get out of as the ladders do not have enough steps. My mother couldn't enjoy the pool as a result. The bathroom was not very clean. The bedskirt was ripped. Parking was an extra charge which I was unaware of. You pay for a room for two nights and parking is $16.20 per night. Breakfast is not included either. The staff was friendly, views were great. I reservedwith breakfast included and there is not breakfast, plus they charge for parking and final price is more than expected... why they advertised breakfast when there is not one. this hotel and the surrounding area was wholly misrepresented online. truly a crushing disappointment for a family trip.